Coles Racing have been working with MDM Designs since 2014. 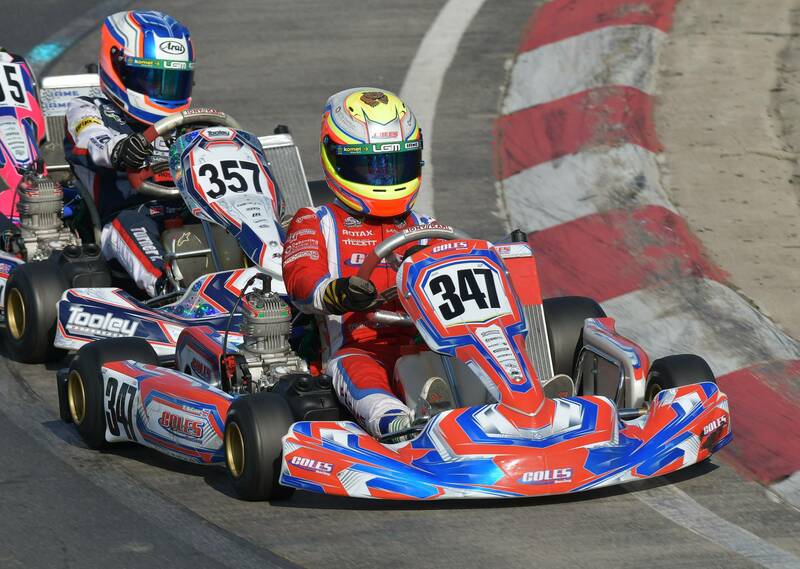 Services have included the design of their Kart Graphics, Website Design, Promotional Design Work, Race and Teamwear and Awning Designs since the partnership was first made. 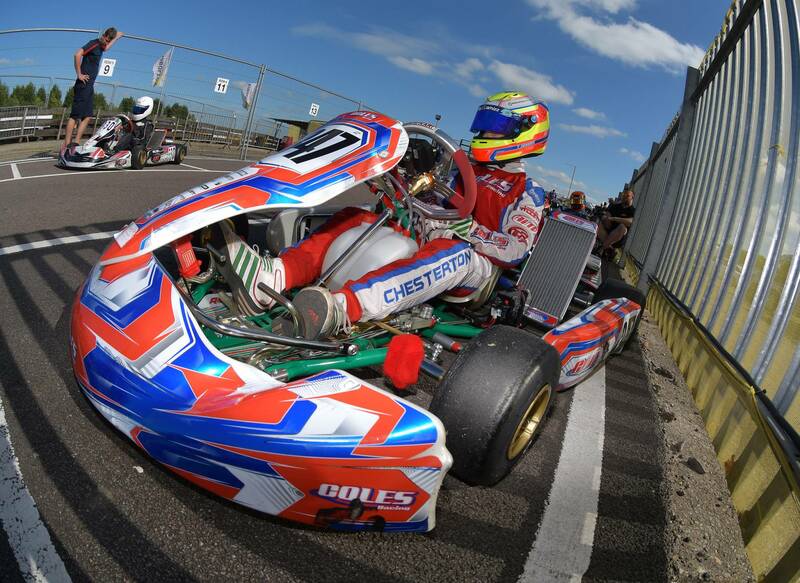 When Coles Racing first contacted us, the original kart graphics were relatively basic but stood out well - with plenty of blue, red and a red fade which went through the white parts of the kits. The original design was revamped by us to bring the overall style up to date, whilst cleaning the design up and making it bolder on circuit. 2017 saw the design once again be evolved. 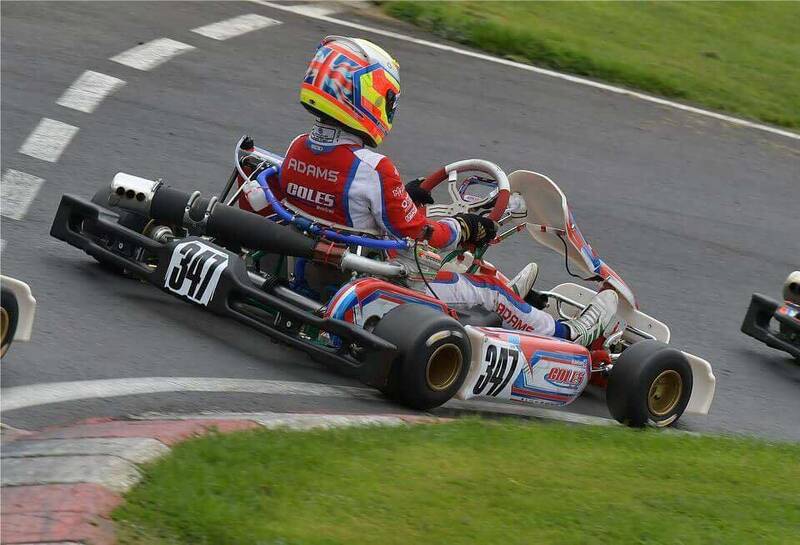 The main emphasis now being to keep all the qualities of the 2015 design, but modernise the design and including a few clever touches utilising chrome - bringing the design right up to date with those sort of styles we have done for other kart teams at the forefront of British Karting Championship racing. The new design features a greater increase of red, matching the mainly red Freem Suits that were also designed up. The blue has beome blue chrome, with some highlights within the print for some shine on the circuit. Lastly in the white, subtle chrome swirl patterns can be seen uplocse - giving the kit the clever features up close that were requested in the original order. 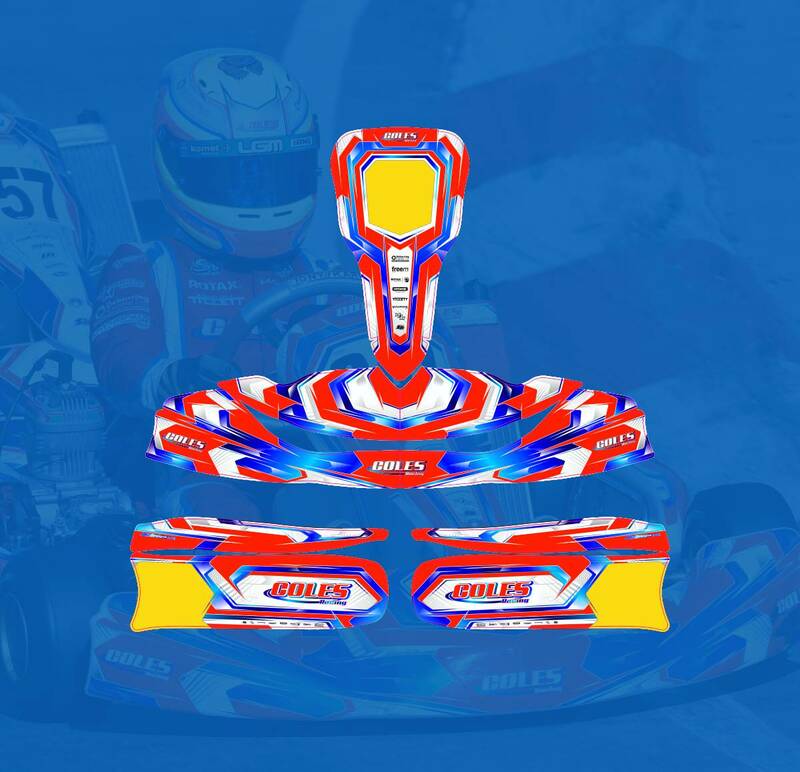 Kart accessories for the OTK Extras were then also created to match the kart graphics, giving Coles Racing a complete revamp on their karts and equipment going into the 2017 Season. The Awning Design was modified for 2016-2017, transferring the original design onto a different manufacturer. 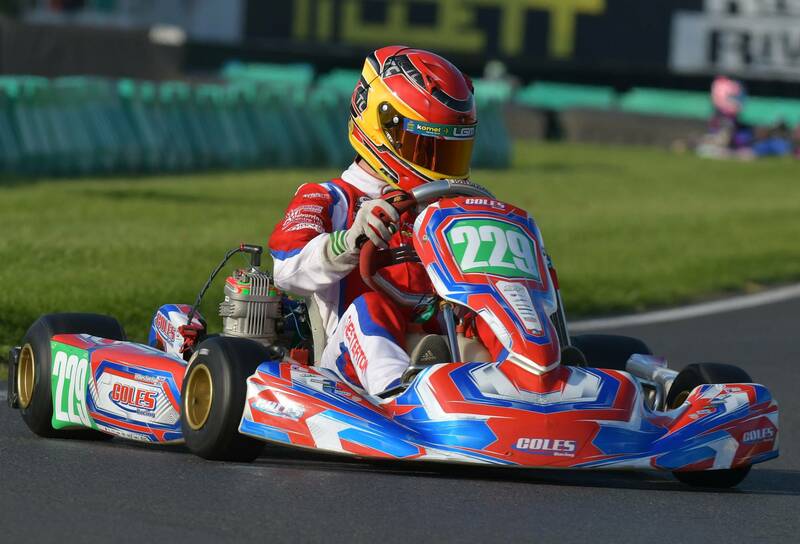 Tyler Chesterton took the new design to the Junior Max British Super One Karting Championship title with a round to spare. To celebrate the achievement, a special one-off design was created for the finale at PF International - which will be public soon. The Coles Racing website was created in 2015, which includes all the Team Drivers, Services on offer, Press Releases, Galleries and more information about the team and how to join a British Championship winning outfit. A new website is coming soon in 2018, completely responsive with a Content Management System to provide Coles with a class leading website going into the new season.